‘General Hospital’ Spoilers – Will Margaux Destroy Carly’s Marriage? General Hospital spoilers remind that a GH insider hinted about a romance between Sonny Corinthos (Maurice Benard) and Margaux Dawson (Elizabeth Hendrickson). And Carly Corinthos (Laura Wright) might not see it coming until it’s too late. Sonny and Margaux hated each other relentlessly. However, seeing how devastated she was to learn the truth about her mother changed the way Sonny sees her. Sonny feels guilty for his part in her father’s murder and he wants her to let go of the past to spare herself additional pain. Margaux Dawson isn’t going to give up on her mission to take Sonny Corinthos down too easily, but she might be getting closer. When Margaux went to visit her father’s grave she overheard Sonny talking aloud to Morgan Corinthos’ (Bryan Craig) headstone. Margaux was able to see a softer side of the mobster, especially when he gifted her his scarf to keep warm while she grieved. At the cemetery, Sonny Corinthos expresses to Margaux Dawson that he truly doesn’t want her to experience any more pain from her childhood. She could see that he was being sincere and she believed him. She wondered how someone could be so ruthless yet say something so kind and mean it. It’s clear to see that Sonny is breaking through her tough exterior. 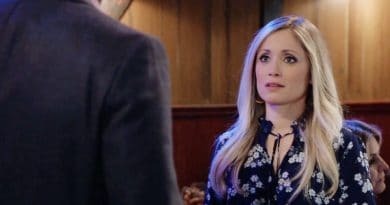 General Hospital spoilers predict that Margaux Dawson is beginning to question the direction of her life. 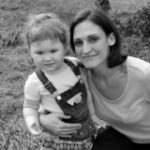 Learning the truth about her mother’s involvement in her father’s murder blew up in her face. Her main purpose in life was to avenge her father’s death and now that’s been taken away from her. She has nothing on Sonny Corinthos and turning in her mother will only make things worse for her. GH Spoilers – Should Carly Corinthos Be Worried? General Hospital spoilers recall that Carly Corinthos saw Margaux Dawson as a threat since day one. Certainly, not as a threat to her marriage, but to her family’s freedom. Margaux has been gunning for the Corinthos family since the day she arrived in town. She put Carly in Ferncliff and went after most of Sonny’s family in an effort to bring him down. Margaux was determined to make Sonny Corinthos pay for her father’s death by any means necessary. Now that things have shifted a bit and he is softening towards her, should Carly Corinthos be worried? Carly Sees Margaux as Threat But for Wrong Reason? Carly was less than thrilled when Sonny spent the night looking after Margaux when Carly needed him at home. Then, she made it very clear that she was furious with Sonny for defending Margaux at the Metro Court. If Carly sees Sonny and Margaux getting any closer she is not going to take it well. Carly Corinthos may think that Sonny’s guilt is fueling his compassion for Margaux. Certainly, she won’t let Margaux use this to her advantage to come after her family again. But is there a personal side to this Margaux-Sonny dynamic that Carly doesn’t see? Whether Margaux plans to go after Sonny Corinthos legally or romantically, she is sure to have a fight on her hands. No doubt, she is tough, but is she tough enough to take on Carly Corinthos? Tune in to GH weekdays on ABC to find out if the two take the leap from rivals to romance. Come back to Soap Dirt for all the latest General Hospital spoilers, news, and leaks. 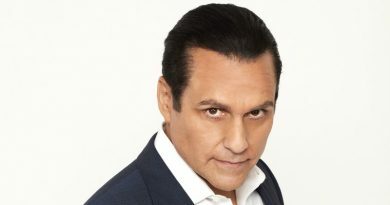 ‘General Hospital’: Maurice Benard Moving On – What’s Next for Sonny Corinthos Character?